Some of our readers will remember the Kobo eReader that was announced back in March. The Kobo eReader is a $150 electronic book reader that will be sold through Borders as they attempt to take on the Amazon Kindle and other electronic book readers. The Kobo eReader features a six inch E ink display, and comes with an SD card slot and 1GB of built in memory, it features a four way D pad for navigation and also comes with a USB port and integrated Bluetooth. The Kobo eReader has a built in battery that is designed to give you up to two weeks of reading on a single charge, or about 8.000 page turns. It also features five different selectable font sizes. 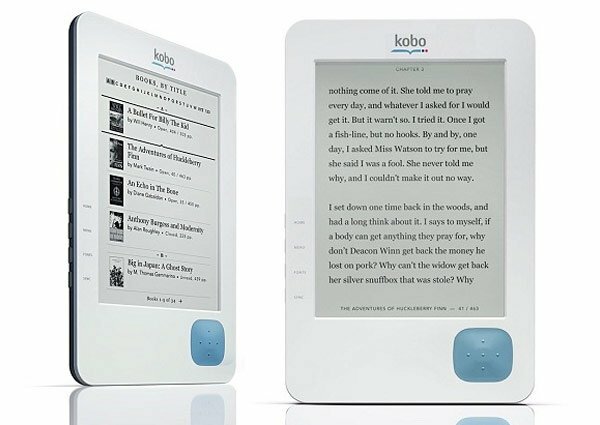 The Kobo eReader is available to pre-order now for $150 from Borders, which makes it around $100 than other electronic book readers on the market, it will start shipping on the 17th of June 2010.